Thanks to smartphones, we have access to a wealth of information and tools right in the palm of our hand. Apps have completely revolutionized many industries, from ridesharing to academics to banking. The HVAC industry is no different. As an HVAC technician, it’s important to have your physical tools with you to diagnose and resolve issues. However, virtual tools are just as crucial and can help you enhance your business by allowing you to solve problems more efficiently in the field. Below you’ll find the 13 best HVAC apps that can help you learn HVAC concepts, troubleshoot problems you may face in the field, and calculate loads so you can make accurate choices about furnace or A/C unit size. 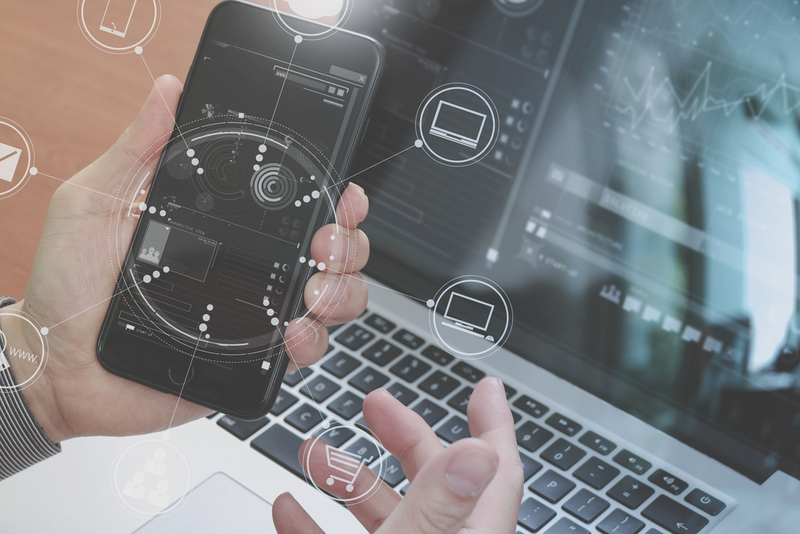 These apps can help both amateurs and seasoned pros, so read on for an in-depth look at the HVAC apps that’ll help put your new HVAC business on the map. If you’re new to the HVAC field, it’s important to be committed to becoming an expert and that means you need to absorb all you can about heating, ventilation, air conditioning, and refrigeration. HVAC software allows you to brush up on essential knowledge so you’re better able to handle and resolve issues out in the field. What is a sling psychrometer and what does it measure? What is one element you don’t have to consider when you’re completing an outdoor unit install? If you’re not sure what the answers are to those questions, have no fear. The apps below will cover those questions and many more. Even if you’re a professional who has been working for years, there’s always new technology and equipment to learn in the industry. Below are some of our favorite HVAC apps to keep you updated and knowledgeable. This app is a great tool for studying for the HVAC exam and may even make the process a little more fun. It’ll help you gain better understanding of HVAC technology, terms, and theory. This app serves as a quick reference guide for HVAC terms and concepts. Enjoy learning about more than three thousand terms with expert descriptions covering heating, ventilation, and air conditioning. This is great for both professionals and those just beginning their HVAC careers. Curious what parameters make a leak Class IV or Class V? Need to know the difference between an axial fan and a centrifugal fan? Done. 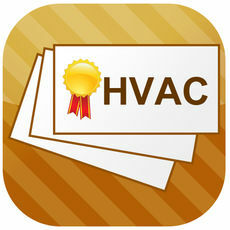 With this HVAC app, you’ll have all of the definitions you could want in one convenient place. Get ready to crush your HVAC exam. This HVAC app boasts thousands of up-to-date questions, tracks your progress for every single question, and optimizes your ability to memorize concepts and terms. You can even challenge your friends to see who has the most HVAC know-how. Instead of one mode where your brain gets bored, your mind is stimulated by multiple learning modes. If you’re an Android user, this is one of the best HVAC learnings apps you can get. It will help current HVAC technicians keep their knowledge base current and assist those aspiring techs to learn all they can. Tune in and listen to the HVAC School podcast, an informational podcast about changes in the heating, ventilation, air conditioning, and refrigeration systems you should know about. Read technical articles by professionals in the industry to bolster your understanding of concepts, equipment, and theory in the industry. 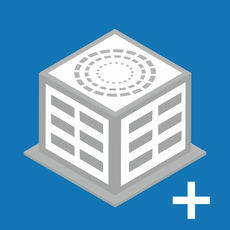 Use the HVAC calculators integrated within the app to gain a broader comprehension of common HVAC mathematics concepts. 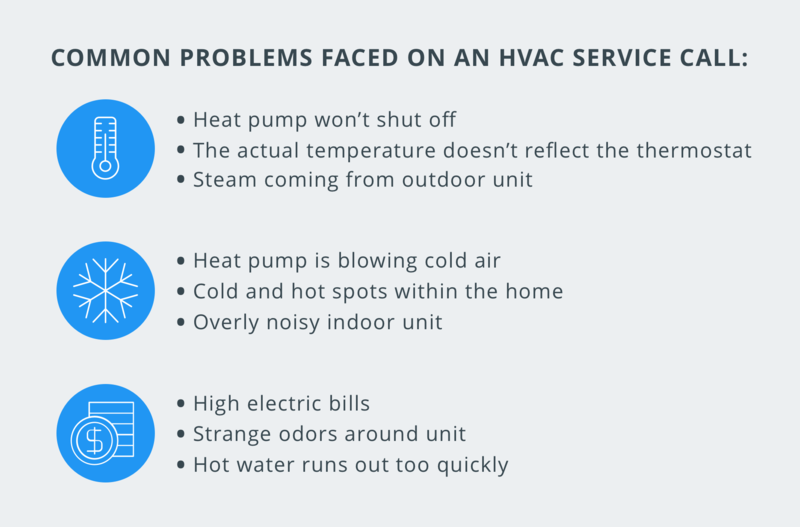 Those are just a few common HVAC issues but you never know what your day in the field will hold so it pays to be prepared for anything. Below are some of the best HVAC troubleshooting apps you can confidently diagnose and fix a problem. 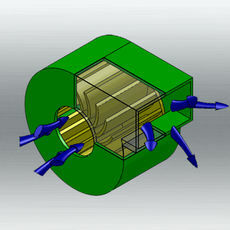 The iManifold App is a convenient troubleshooting tool that calculates HVAC/R system processes as well as performance. Using user input and dynamic, live system data, you’ll be able to easily hone in on any issues. With over 40 selectable refrigerant options and equipment options, the iManifold app can be customized for your specific HVAC/R needs. For advanced options, you can upgrade to iManifold Report Pro, Charge & Airflow Report, and Mechanical Inspection to take your HVAC business to the next level. 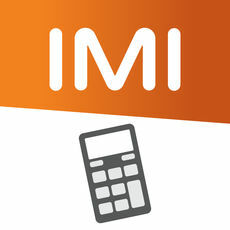 HyTools by IMI Hydronic Engineering delivers a handy, intuitive hydronic calculator app for HVAC pros. This isn’t just any app, it was built by industry leaders in hydronic distribution systems and temperature control, IMI Hydronic Engineering International SA. More than 100,000 projects all over the world and years of experience helped to build this app so you know you’re getting the best, most accurate information. Need to make a unit conversion? Confused about pipe sizing? Find all the answers you need with this app designed with the HVAC professional in mind. 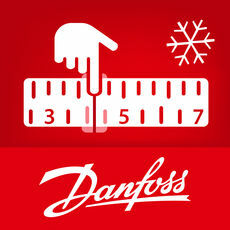 This app comes from the engineering experts at Danfoss who specialize in refrigeration, air conditioning, heating, motor control, and machinery. If you’re looking for an app that acts as a quick, efficient pressure-to-temperature refrigerant converter, this is your app. The Refrigerant Slider covers 69 different types of refrigerants including natural ones. You’ll be able to dive into a world of refrigerant knowledge thanks to this app’s in-depth description of different refrigerant types. If you’re an HVAC technician out in the field, you will want to be prepared with the right knowledge. And with HVAC issues, that means you must have various formulas and mathematic equations close at hand at all times. The Test and Balancing/Commissioning Calculator has common calculations you may need when you’re out trying to fix different HVAC issues. Find Cooling MBH Calculation: By using inputs of altitude, CFM, entering and leaving dry bulb and wet bulb temperatures, this calculator determines the work performed by the cooling coil in total, sensible, latent MBH, tons of cooling and condensate gallons per hour. Find Water MBH: By using the known GPM and entering and leaving water temperature, the calculator will tell you how much heat is transferred into water. Find Sheave Change: Helps you determine the necessary sheaves and belts to either add or subtract to the fan RPM to get to the correct CFM. 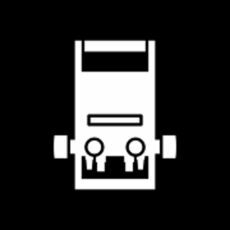 It also determines the required BHP for change, the length of the belt, and delivers both motor pitch and fan pitch diameter. Find Heating MBH Calculation: Utilizing the known altitude, CFM, and entering and leaving dry bulb, the calculator will deliver the sensible heating load data. Find Humidification: Using the known altitude, CFM, and entering and leaving dry bulb and wet bulb temperatures, the calculator will tell you the work being reintroduced into the air stream. For example, “steam pounds per hour,” “total MBH,” and “gallons per hour”. Find Traverse Points: By inputting the duct size and whether or not there is an internal liner, this calculator will give you location points to perform traverse in ducts, both rounded and rectangular. Find Psychrometric Properties: Delivers all psychrometric property data from any dry bulb and wet bulb temperature of air at any given altitude. 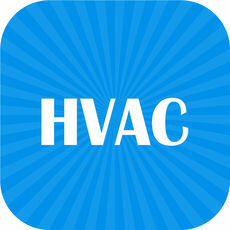 This is one of the pricier apps on the list, however, it’s also one of the most comprehensive pieces of HVAC software. The load calculation is how you determine the right size furnace and/or air conditioning unit for a client’s home that properly balances heating and cooling needs. When the HVAC industry was in its infancy, technicians would make an educated guess to ascertain the heating gains and losses for a given property. Usually this number was derived from the actual size in square feet of the home and it wasn’t necessarily an accurate number. Because HVAC companies needed to make sure the unit would be big enough for the house, they usually erred on the side of caution and installed a bigger-than-needed unit. A too-small unit in a house that doesn’t properly balance cooling and heating losses means that the unit won’t effectively cool or heat the house. A unit that’s too large for a space or property, however, isn’t great either. A too-large unit results in hot and cold spots throughout the house. The HVAC industry changed radically when the Air Conditioning Contractors of America was formed. The organization came up with standardized ways to calculate a home’s heating and cooling losses involving complex mathematical equations. Unfortunately, doing those calculations by hand meant a lot of time and effort was expended. In the modern HVAC world, apps and software do the mathematical heavy lifting. Here are some of the best HVAC load calculation apps to make sure your service responds to your clients needs. 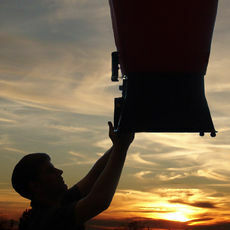 HVAC Load Plus is the perfect companion when you’re out in the field. It’ll allow you to size cooling and heating units, show those results to the client, and email the data to your home office to analyze the information further for more insight. Plus, you’ll save time by inputting data in the field and returning to your office for a more thorough analysis. Duct Calc Elite helps you make the most of a customer’s HVAC system. Duct sizes that are too small means that the entire system has to work more to keep the property heated and cooled to comfortable temperatures. Conversely, if the duct size is too big, the velocity is compromised so you might not be able to feel it at all through the vents. Or, you can simply rely on the Duct Calc Elite which does all the work for you. This useful HVAC app boasts an intuitive, user-friendly interface so you can enter values for each calculation with total confidence. 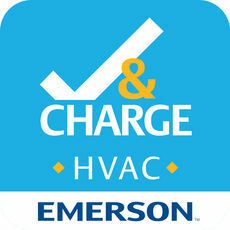 HVAC Check and Charge from Emerson Climate Technologies delivers on-site refrigerant charge calculations for air conditioning applications. This is another highly-rated duct-sizing app for both Android and iOS users. Essentially, it’s a virtual version of a traditional duct sizing measurement tool. 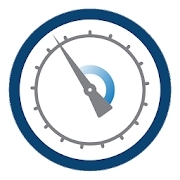 Find Size by Airflow: Choose the total airflow in CFM (or L/S), the aspect ratio and either velocity of air or the friction loss per 100 feet (or 30 meters). The resulting calculation delivers both exact and rounded estimations of height, width, and diameter dimensions, the equivalent diameter (for rectangular and oval ducts) and the calculated velocity and friction loss. 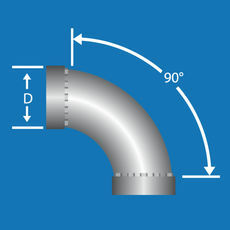 Find Size by Dimensions: You can examine an existing duct system by punching in the present duct dimensions and either the airflow or velocity numbers to arrive at the calculated duct friction loss. If you own your own HVAC business, you know how important it is to stay organized. 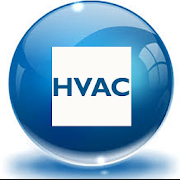 With clients, multiple technicians, ongoing projects, emergency calls – HVAC businesses are known for being dynamic, busy organizations. So, it’s important to ensure that you have all your bases covered with regard to scheduling, clients, and project progress. For example, you can make it easier for potential customers to go about hiring an HVAC technician to fix a heating, cooling, or refrigeration issue by allowing online booking through social media and review sites. You may also want to consider a business app to help you digitize all the important information you’re dealing with day to day like client information, messages, projects, schedules, employee messages, and more. For all of your HVAC business needs, HouseCall Pro is the app that’ll help streamline your workflow and build your company. If you’d like an app that does it all, look no further than the Housecall Pro app. 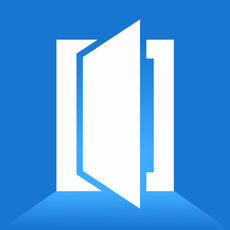 This app will serve as your business hub where all of your business-critical matters are in one convenient location. Message clients when you’re on your way, dispatch technicians based on proximity to clients, allow customers to pay with their credit cards for instant payment, send out automated emails without marketing services – there’s truly no other app like it. Don’t waste your time half-heartedly trying to market, let us handle that for you while you focus on higher-value tasks that are important to your business. Looking for a payment platform for your HVAC company? Check out our comparison of Clover vs. Square. 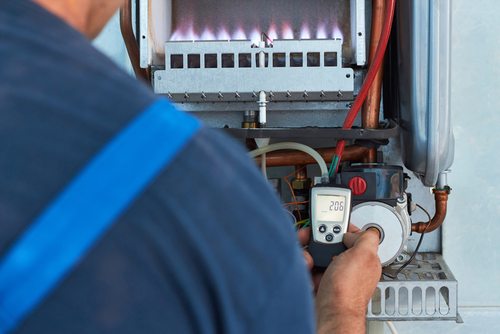 HVAC apps aren’t the only way to get a job done right the first time, but they’re a helpful tool to make the most of your time, knowledge, and skillset. As an HVAC technician, you’re tasked with the important job of making sure people’s homes are comfortable. Using apps like Housecall Pro helps make your business more efficient and responsive. Tackle each HVAC job with the confidence that comes from knowing you have all the information you need right in your pocket.